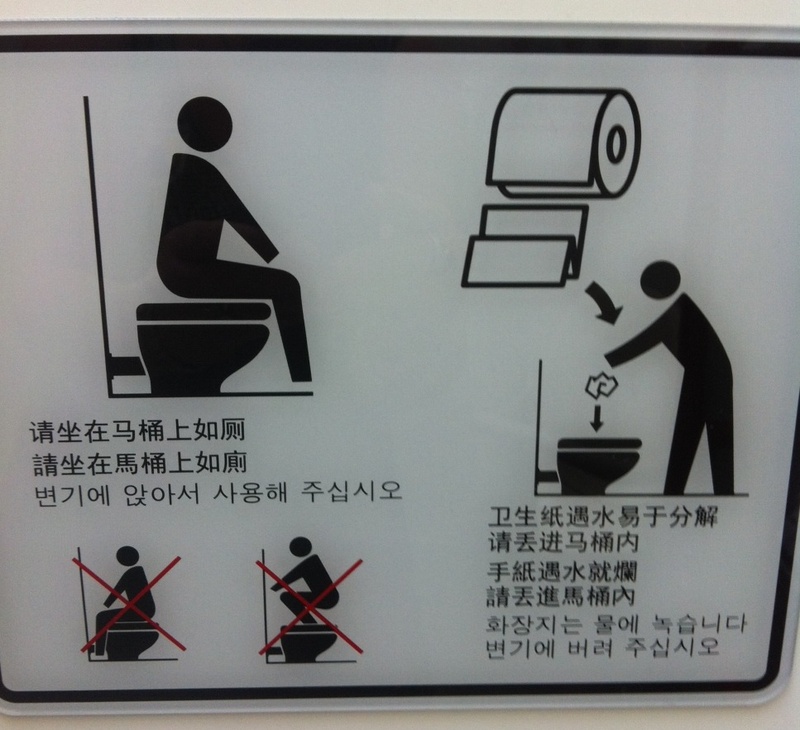 Japan is a bit of a strange place – raw seafood, bowing, etc… – but nowhere is that more obvious than in the toilet. So for a quick entry, written on our last night in Tokyo, here’s a bit of fun before we get to the really interesting and more broadly appealing stories about our trip. No, we didn’t fly here in first-class and these aren’t the controls for pod seats on the plane. We’ve often complained that our toilets in Wagga are a bit chilly. Well, modern Japanese technology has come up with a solution for that with the heated toilet seat. The toilet seat in our hotel room is heated. Among other things. It has a variety of functions for ‘post-bodily-function’ cleansing and it makes noise. Yes, noise. These seats, that cost between 160000 and 500000 yen ($2000 – $5000) are something that most Japanese households have. Because Japanese apartments are small and have rice-paper walls, sometimes (according to our tour guide today) papa-san might want a bit of privacy to he can turn on the ‘flushing sound’ feature so no one can hear him do his business. These things (what the Japanese call ‘washlets’) have a huge range of features, with some even having a “Powerful Deodorizer” function. It all seems too hi-tech for us, and we have to admit that we just used them in the old-fashioned Aussie/Canadian way. 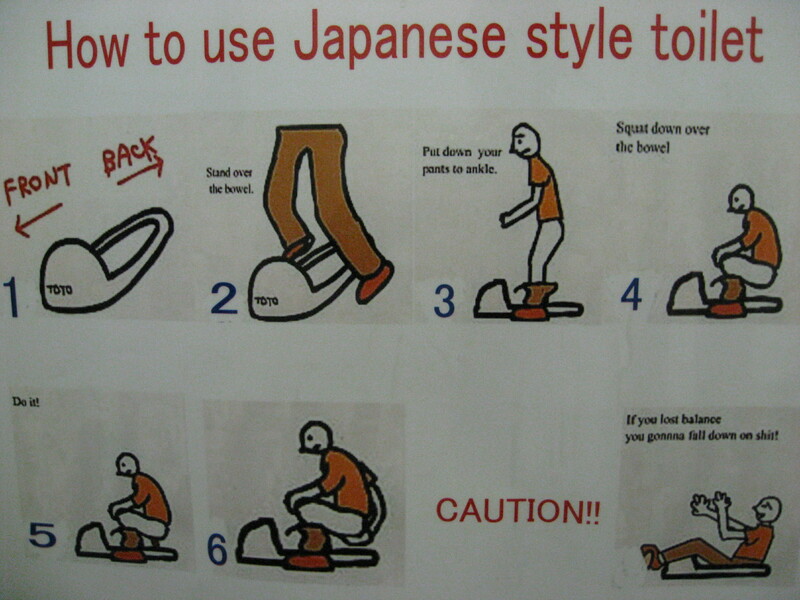 We could have put in a photo of an actual traditional Japanese toilet, or the great hand-drawn instructional picture our tour guide had, but this one, stolen from the web, was just too good not to use! You really have to click on it to enlarge and see the last image. But as much as we sometimes think that Aussie toilets are a bit lo-tech (heat the damn things! ), we are glad our Japanese hotel had modern toilets rather than traditional Japanese-style ones. These are odd things that are becoming less common (hey, who needs a hole in the floor when you can have the controls to a starship?) but are still [too] easy to find in public places like airports, train stations, etc. Our friend FFG, who gets off on doing leg workouts, would probably love these, but most people prefer to sit on a warm ring with a calming flushing sound around them. The transition from the hole to a Western-style throne must have been a bit of a challenge, because these instructions are quite common in toilets with modern facilities. Unlike a lot of European countries, the Japanese still have segregated toilets. 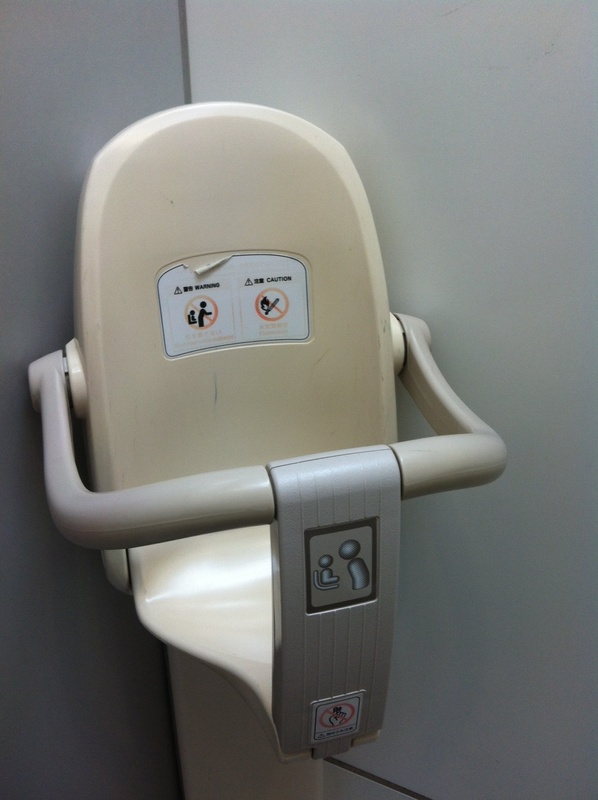 But there is no gender equality, as the men don’t have this baby holder in theirs! This entry was posted in japan, toilets, travel. Bookmark the permalink.